Success in the advertising industry demands that agencies evolve their services and prepare to implement sharp new business development plans. We know it’s a challenge for an agency to stay relevant, differentiated, competitive and generate revenue growth. If your team doesn’t know where your best play is, it’s tough to get there. Resources are precious and need to be deployed carefully. If you want to be in a stronger position next year, it’s time to route a new course. Led by advertising industry veterans Lorraine Stewart and Nancy Hill, our Agency Growth Consulting Services and one day Agency Growth Workshop will change the course of your agency. Together we will answer for you the specific strategic direction that will result in your agency’s future success. The customized content is designed to engage, inpsire and align your leadership team. The process uncovers your assets to better differentiate the agency in the sea of sameness. It focuses on the tipping point that will help you scale. The output? A fresh strategic course and plan of action that is designed to work for you. We know from our experience that there is absolutely no cookie cutter, best practice approach to agency business development. Each agency, its ownership and its talent is unequaled. Sometimes it takes an outsider perspective to uncover what is most salient. And move a team of busy agency people to a common point of view! Your agency leadership team will benefit from the extensive and diverse experiences of two industry veterans who have come together to help agencies survive and thrive. Lorraine and Nancy advise agency leaders on a wide range of strategic and tactical issues. They lead agency teams through an intense, one-day Agency Growth Workshop designed to meet your pressing needs, and to increase your agency book of business, which tends to solve most other problems! Lorraine Stewart is an advertising industry agency search consultant and founder/CEO of The ROJEK Consulting Group. She is a trusted advisor to CEOs and CMOs, brokers multi-million deals between corporate clients and the advertising agencies they need to find and hire. She is highly regarded for her expertise and ground-breaking thought leadership on organizational culture, effective teaming building and advertising sourcing practices. Under her leadership, ROJEK Consulting has grown to be the go-to resource Fortune 500 marketing leaders seek to address complex agency management issues, including engaging the best agencies to build their brands. This client–centric perspective on how CMOs think and make agency hiring decisions helps agencies focus on what really counts in gaining client consideration, trust and work assignments. Nancy Hill is the former CEO and President for the 4A’s, Founder of Media Sherpas LLC, and one of Ad Age’s Most Influential Women in Advertising History. As President and CEO of the 4A’s from 2008-2017, Nancy led the association’s transformation to provide leadership, advocacy and guidance to the advertising community on issues such as patent trolling, online privacy and interest-based advertising, compensation and talent. She personally led the 4A’s work on diversity and inclusion. A veteran of agencies across the country, she honed her skills at agencies like Doner/Baltimore, TBWAChiatDay in St. Louis and LA, and Goldberg Moser O’Neill in San Francisco. After that, she joined BBDO where she was EVP and managing director for New York. Her most recent Executive position prior to joining the 4A’s was CEO of Lowe New York. What agency wouldn’t want their help with some industry echolocation to navigate the future? Virtually no other consultants in market can offer what Lorraine and Nancy bring into the room. Grab a 2018 calendar now to schedule a date for your own consultation or a full day Agency Growth Workshop. Contact us now to get our Agency Workshop Planner. Set brand new goals. Even if you’re not into setting aggressive, stretch goals, make a point to identify where you are now and where you want to be at this time next year. Think big and be bold. Celebrate your 2017 Success. Take stock of your accomplishments. Update a forward-focused online presence to highlight your best work, key employees, activity and results. List the new skills you’ll need. 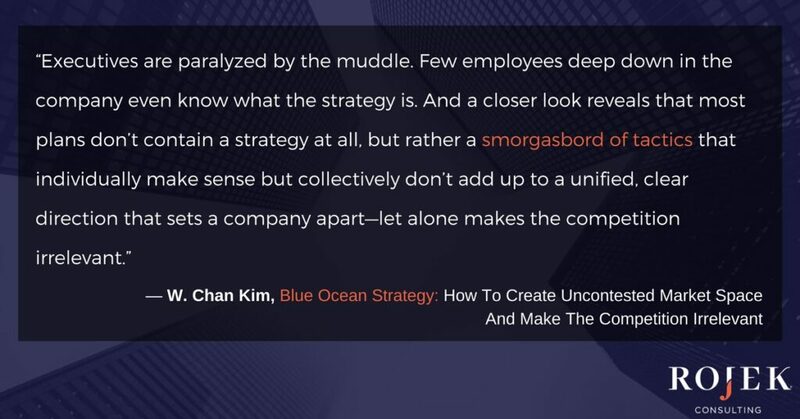 You’ll likely need new capability and skills sets to stay competitive and best of class; strategize about how your staff can learn more and become better at what you do. Develop talent. Cultivate agency reputation. Make sure that your agency reputation speaks for itself. Walk the talk so clients and prospects see how well you manage your own reputation so prospects not only find you but can appreciate how amazing you are. Pick 5 keywords to own in 2018. Break out of your rut. If you’ve been doing process things the “same old way” for years, let it go, and grow. Free up people’s capacity to explore, develop, think and evolve. Retire old ways. Expand your Circle. Build out your professional alliances. Volunteer. Teach. Lead. Serve. Too many irons in the fire? Too many ideas, and points of view around the table? Chart a specific course, with agreed upon milestones. Measure progress. Adjust in real time. Get outside Help. Email us. Or book a call to get the answers you need to feel confident in your future. Get a 360 view. Schedule a date for your 2018 Agency Growth Workshop today!